In Chilean Patagonia, several companies run catamaran excursions or cruises to destinations such as Laguna San Rafael and the fjords of Tierra del Fuego, famous for their tidewater glaciers. 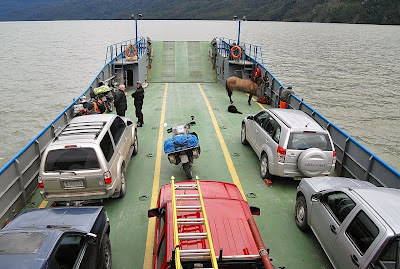 Normally, they put their patrons in rigid inflatables or other small boats to see ice more up close and personal, and in the case of Tierra del Fuego, the passengers even get to go ashore. Meanwhile, the crew chips a chunk off a passing iceberg and, when the excursion’s over, everyone – or at least everyone 18 and over – gets a whiskey on the glacial rocks. A few days ago, in northern Chilean Patagonia, some unlikely "entrepreneurs" decided that, instead of bringing the people to Patagonia, they could bring the Patagonia to the people by hauling five tons of ice – valued at roughly US$6,200 - from the Jorge Montt glacier to Santiago. 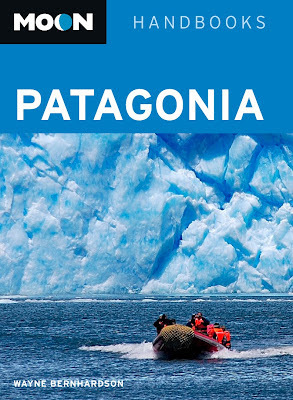 The idea was to sell custom ice cubes to Santiago bars but, unfortunately for the masterminds of this unusual project, Carabineros police in the town of Cochrane arrested the driver of the refrigerated truck for theft, and he may face additional charges under a law that protects national monuments. In the meantime, police are searching for his accomplices. On the northern edge of the Southern Patagonian Icefield, just off the Carretera Austral, the Montt glacier is a rapidly receding victim of global warming. 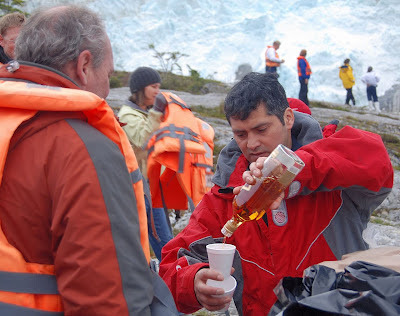 What’s surprising is how the ice-robbers thought they would get away with this in a country where the proposed removal of glaciers by a mining company in the northern Andes became a huge political issue nearly a decade ago. 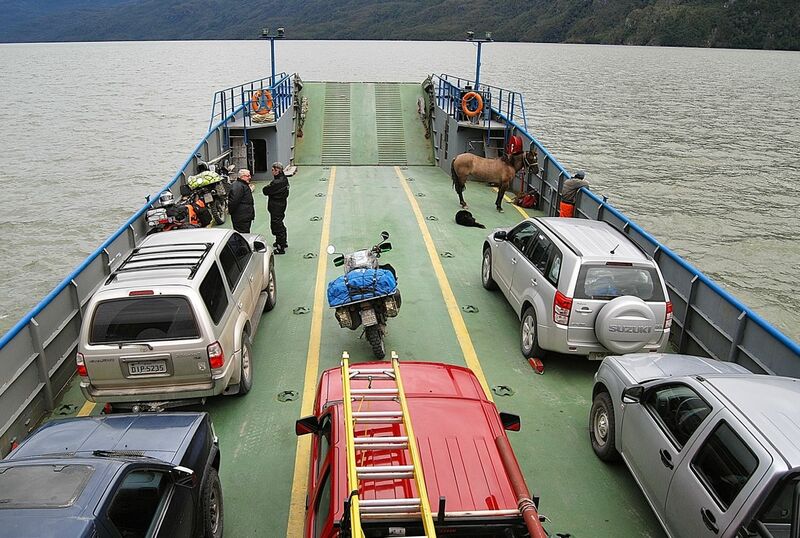 On one level, this ice-robbing incident was well below the radar, except that the Montt glacier lies in an uninhabited area where a vehicle of this sort is virtually unheard of (the nearest town, end-of-the-road Villa O’Higgins, is 100 km south and has only 550 residents). 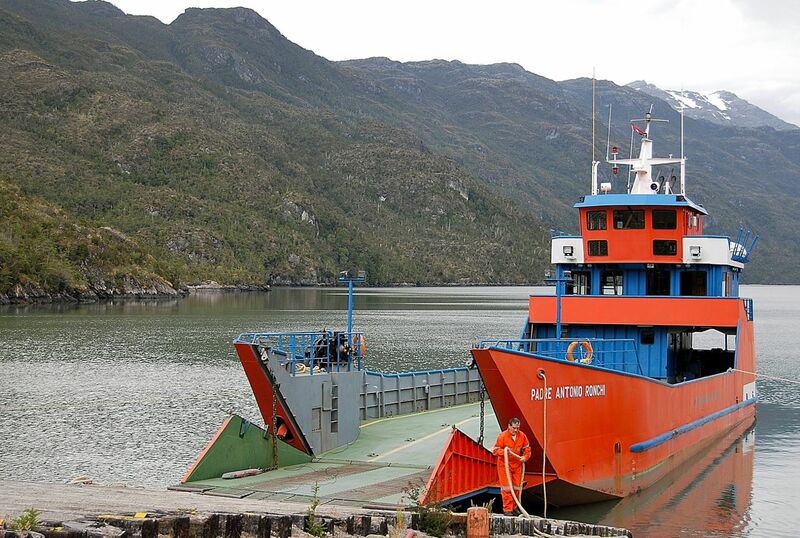 Moreover, the truck would have been especially conspicuous on the Antonio Ronchi ferry (pictured above) from Puerto Yungay (pictured below, on Fiordo Mitchell) south to Río Bravo and back, which it had to take to reach the glacier. Apparently there was a tip from Conaf personnel but, on the way back north, any vehicle of this sort would have suspicion at the Carabineros police checkpoint at the approach to Cochrane. For my part, I’m anticipating the screenplay for what sounds like a great comic caper movie. Since I haven’t had a giveaway for a while, I’ve decided on a twin killing. 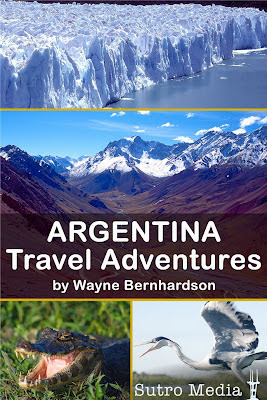 In the first instance, I will give away copies of Moon Handbooks Patagonia (whose cover shot is Laguna San Rafael) to the first two readers who can identify the mining company that tried to remove the glaciers in northern Chile. 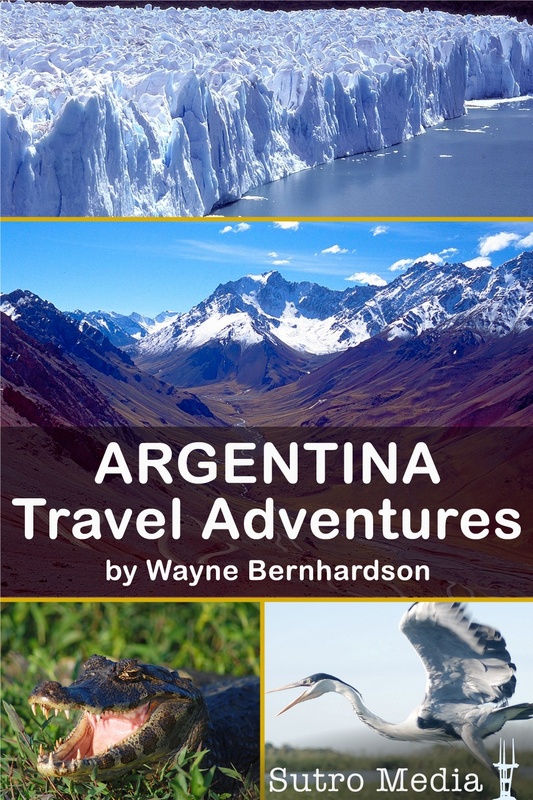 That will require a little research, but the second part of the giveaway will not: the first five readers who ask will receive a copy of the new Argentina Travel Adventures app for the iPhone, iPad or iPod Touch. Obviously, to read it, you’ll need to have one of those devices, but there are no other requirements. 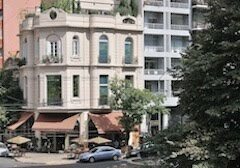 Please send your responses to the following address: southern cone (at) mac.com. Randy, that is a correct answer, but I will need a mailing address for you. Please send it directly to my email southern cone (at) mac.com, rather than to this comments box.